If you're tired of dwelling in busyness and noise, then perhaps one word a day can change your life. Award-winning author Lucinda Secrest McDowell knows that if you spend time each day turning to God's Word for wisdom and guidance, your faith can flourish and grow. Through short and inspiring readings, McDowell unpacks a single word---such as mercy, beauty, gratitude, or grace---to reveal a biblical blessing or challenge relevant to where you are. Full of stories and illustrations to empower you to live the word you have just read, each devotional ends with a benediction, written as if God were speaking directly to you. These "dwelling places" that offer the joy of God's promise and presence cover four seasons: fall, Advent, Lent, and summer. 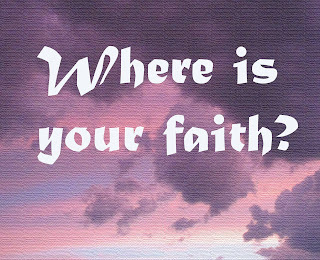 Whether in the midst of busy holiday schedules, holy days, ordinary moments, or changing seasons, a deeper faith can be as simple as a single word. I write devotions myself, so I'm kind of picky about the ones I read. When I opened Dwelling Places, I knew I'd found a devotional book I'd love. Each day, I've thoroughly enjoyed my time with Lucinda's beautifully written thoughts.In her simple approach, you'll find devotions filled with the wisdom of God. I've been reading the summer section and particularly connected with #10 "the sea." Because I love water and the power of God, her words resonated with me. If you're looking for a good devotion book with short excerpts and exceptional insight, I highly recommend Dwelling Places. Along with reading the daily words, I write in my prayer journal for a good start to my day. Lucinda Secrest McDowell is the author of 11 books, including Live These Words, Amazed by Grace, and Quilts from Heaven. She has contributed to an additional 25 books and has been published in more than 50 magazines. A graduate of Gordon-Conwell Theological Seminary and Furman University, she speaks internationally through her ministry Encouraging Words. An award-winning writer who has earned accolades from prominent writers' conferences and retreats, McDowell has also worked in radio broadcasting, in retreat planning, and on church pastoral staffs. She writes from "Sunnyside" cottage in Connecticut. Drown out the busyness and noise of everyday life and find a deeper faith with something as simple as a single word in Lucinda Secrest McDowell's new book, Dwelling Places. Through short and inspiring readings, McDowell unpacks a single word—such as mercy, beauty, gratitude, or grace—to reveal a biblical blessing or challenge relevant to where you are. Full of stories and illustrations to empower you to live the word you have just read, each devotional ends with a benediction, written as if God were speaking directly to you. 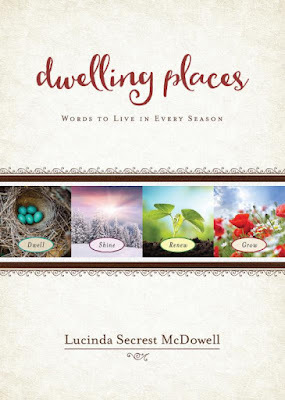 Join Lucinda in celebrating the release of Dwelling Places by entering to win her Season of Refreshment giveaway. Enter today by clicking the icon, but hurry! The giveaway ends on July 5th. 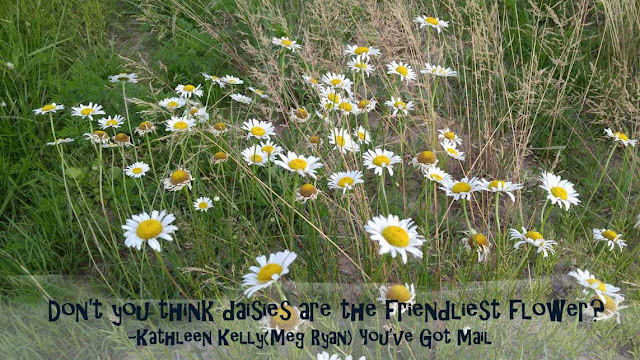 The winner will be announced July 6th on Lucinda's blog. Chicory's sax runs up and down. Butterfly wings and stems sway. After a devastating layoff, attorney Eric Nash heads back to the town where he grew up--only to discover that his childhood home is being transformed into a bed & breakfast. Instead of plotting his next career move in peace, he's constantly distracted by noise, chaos--and BJ Stevens, the attractive but prickly blonde architect and construction chief who's invaded the house with her motley crew. As for BJ, her client's son might be handsome, but after a disastrous romance, dating isn't high on her agenda. Yet when they join forces to create a program for Hope Harbor seniors, might they also find healing, hope, and a new beginning themselves? Three-time RITA Award winner Irene Hannon takes readers back to Hope Harbor for a new season of charm, romance, and second chances. I've found a new favorite series by a great author. Although I've read some of Irene Hannon's suspense novels, this is the first contemporary fiction I've read of hers. I enjoyed BJ and Eric's stories so much. Not only did Irene create well-developed main characters, she put them in a beautiful setting surrounded by a fantastic supporting cast. Several stories are woven within the context of the beautiful tale where the characters seek hope, peace, and love. 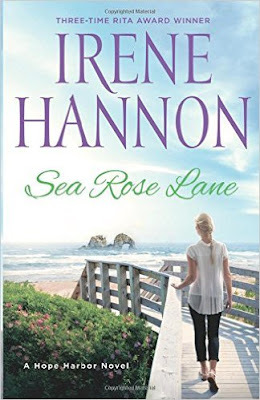 If you enjoy Debbie Macomber give Sea Rose Lane a read. 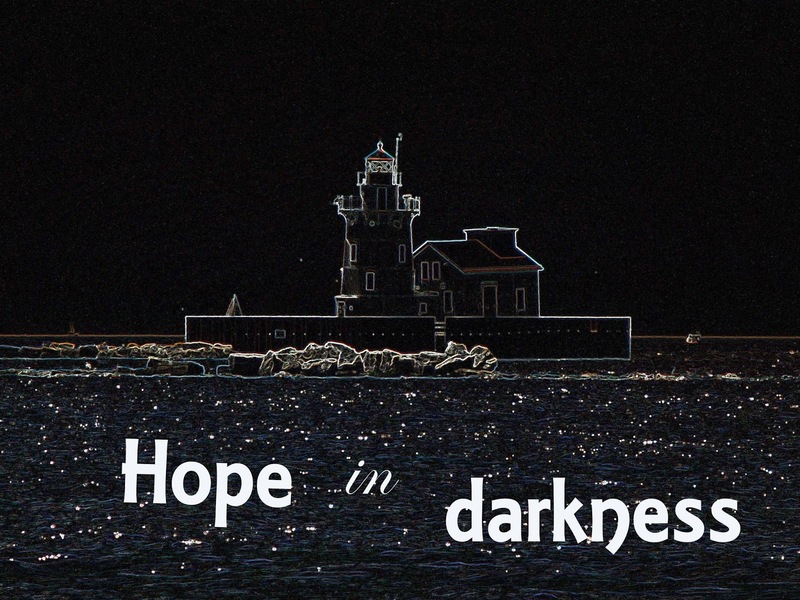 I enjoyed it so much I purchased a copy of Hope Harbor, book 1 in the series. Sea Rose Lane can be read as a standalone, as well as part of the series. This is a perfect summer read. Grab it on your way to the pool. I received this book from Revell in exchange for a fair review. 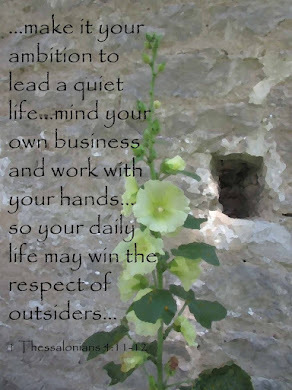 Something drew me to the green plant sprouting in a flower bed where I work. 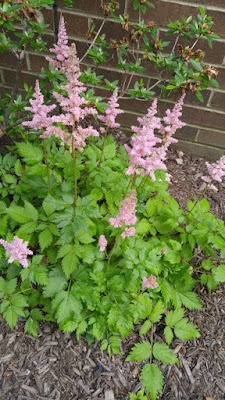 The hosta leaves spread and the azaleas had finished blooming. Yet this bushy little plant tucked into the corner of the bed, caught my attention. It was as if it called me to look at it every day. Morning after morning, I'd walk by and check out the greenery. One day I noticed tiny blooms shooting out of stems. They shot up like sparklers on the fourth, but brown, like they'd already bloomed and dried up. I knew they hadn't. So like Alice in Wonderland, I got "Curiouser and curiouser!" I looked forward to seeing whether the brown stayed that way or would they transform into something more colorful. Then one day on my walk in to work, there they were. Lovely, feathery, pink (my favorite color) blooms. Like a whisper, they called me to them and said see this is what you've been waiting for. Isn't that just how I am with God? I seek the beautiful, the colorful joy, the "happy." 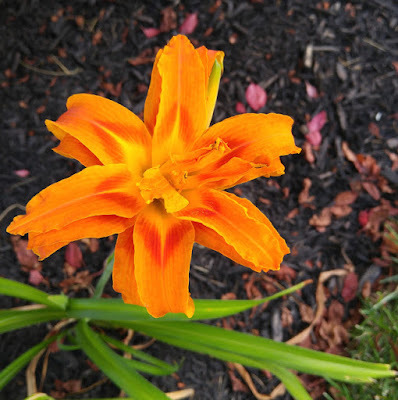 But when I spy a brown flower, or a bad day, a sad news story or a horrific one, I forget about the hope. My anger bubbles at the people who judge parents who are hurting instead of comforting them and at the people who kill innocent people. Instead of being curiouser and curiouser and clinging to the hope I know is God, I become discouraged. Yet I know if I sit at God's feet and seek his wisdom, he provides hope. God is bigger than all that I face here. He's the creator of all things, yet he listens to me and whispers in my ear. He tells me he loves me and loves you. No matter what, God is the one I can count on. He doesn't change. While all the world is falling apart, Jesus is holding me up. He's sitting beside me and sharing his love. I usually end with a praise, today let's end with a prayer. "Lord, I need to sit quietly at your feet and hear your voice. I lift up the people who are hurting this week. There's so much sadness. Please help me not to judge, but instead to love. I can't begin to thank you enough for the hope I find in you. Thank you so much for your son, Jesus. In his name I pray. Amen"
The lighthouse rose from the shore of Lake Erie; a signal to boats that land was near. Marblehead Lighthouse is the oldest lighthouse in continuous operation on all of the Great Lakes. The 300 mm lens shines a green signal that flashes every six seconds. Without the light at night, boats would crash into the limestone along the shore, causing disaster and possibly death. I love lighthouses. To me they represent the hope I find in Jesus, in a dark and difficult world. Without Jesus light I'd be floating in troubled water, not sure where I might crash. Sadness and sin are all around me. When I read the news or watch television, I'm sick from the desolation and destruction people create. 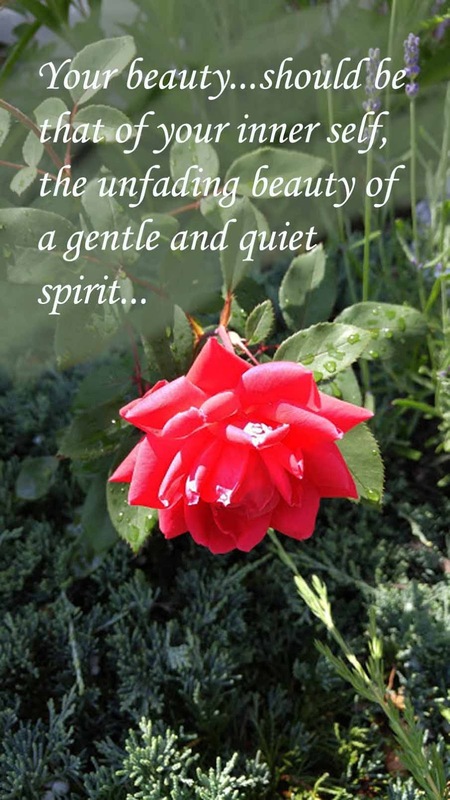 That's why in all the sadness and frustration, I seek the true light, the one who gives me hope and joy. Jesus is the light that cannot be extinguished. His light of hope is eternal. So even in the midst of darkness I can walk with Him. Praise God for the light of Jesus! 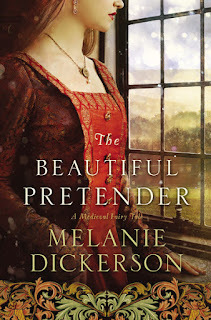 Melanie Dickerson is an expert writer of fairy tales. From the setting to the language she uses, I felt ensconced in the story from beginning to end. I loved the story of a maiden servant put in the dilemma of pretending to be a noble lady. Then she was told not to let the margrave (prince) fall in love with her. But she's so sweet and lovable! The internal struggle mixed with physical situations led to some real predicaments. Avelina's brave heart opens for her friends as she shows her true self despite her hidden agenda. Melanie did a superb job developing intriguing characters and creating a wonderful world to get lost in for awhile. I'm so glad there are fairytales for adults, because I've never outgrown my love of them. Escape into The Beautiful Pretender this summer. I received this book in exchange for a fair review. Sister Eve and the Blue Nun is one of the most entertaining mysteries I've read in a while. Sister Evangeline Divine is a funny, intelligent woman who's up to her habit (if she wore one) in trouble. I sympathized with Eve as she struggled with the life-changing decision of staying on as a nun or letting go and working as a Private Investigator with her dad. But before Eve can decide, she delves into a murder mystery that's personal and action packed. I enjoyed Eve's story and learned about the Blue Nun, which I found quite interesting. I could tell that Lynne had done the research that played a key role in the story. This is the third book in A Divine Private Detective Agency Mystery. I'm looking forward to number four. 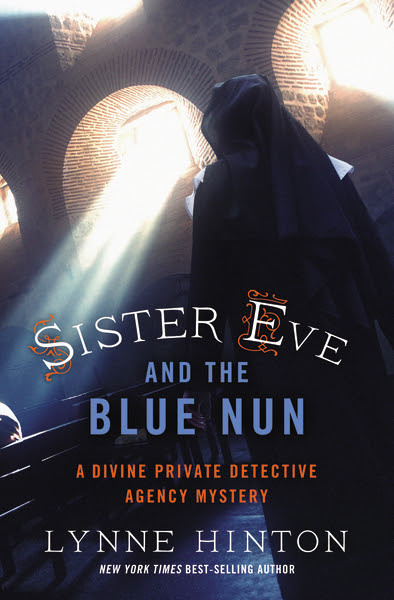 If you enjoy a good mystery, you'll love Sister Eve and the Blue Nun. I received this book in exchange for a fair review.